MONDAY, Dec. 28, 2015 (HealthDay News) -- Ultrasound and mammography appear equally likely to detect breast cancer, a new study says. The finding is good news, particularly for women who live in developing countries that typically have more access to ultrasound than to mammography, the researchers said. While the detection rate with ultrasound was comparable to that of mammography, "it looks like ultrasound does better than mammography for node-negative invasive cancer," said study leader Dr. Wendie Berg, professor of radiology at Magee-Womens Hospital of UPMC in Pittsburgh. Node-negative invasive cancer is cancer that hasn't invaded the lymph nodes, but has grown past the initial tumor, according to the U.S. National Cancer Institute. "The downside [to ultrasound] is, there were more false positives," Berg said. At least one expert doesn't expect this study to change current screening practice in the United States. "For U.S. patients, what [this study] really confirms is, ultrasound should be used as a supplemental screening exam in dense breast patients," said Dr. Lusi Tumyan, a radiologist and assistant clinical professor at the City of Hope Cancer Center, in Duarte, Calif. She reviewed the findings but was not involved in the study. "At this time we do not have enough data to support or refute ultrasound as a screening tool for average-risk patients," Tumyan said. The take-home message for women in the United States, she added, is to discuss their specific risks with their physician and decide together which screening test is best for them. Ultrasound is generally used as a follow-up test once a potential breast tumor has been discovered through a mammogram or a physical exam, according to the American Cancer Society (ACS). The ACS says that ultrasound is a valuable tool that's widely available and noninvasive. The new study involved 2,600 women living in the United States, Canada and Argentina who had ultrasound and mammogram annually for three years. They had no symptoms of breast cancer at the study's start, but they did have dense breast tissue -- considered a risk factor for breast cancer -- plus at least one other risk factor for breast cancer. Separate radiologists interpreted each of the two scans the women received. At the end of the study, 110 women were diagnosed with breast cancer. Detection rates were similar between the two tests. Rates of false-positive results (where a scan erroneously suggests a tumor) were higher for ultrasound compared to mammography, the researchers reported. Overall, the researchers found that 32 percent of more than 2,500 women without cancer were asked to come back for additional testing at least once after an ultrasound. That compared to 23 percent of women who'd had mammography, the study said. The findings suggest that for women who don't have a high risk of breast cancer but have dense breasts, "we find many more cancers if we do ultrasound in addition to mammography," Berg said. Berg said the cost of mammography and ultrasound are comparable in the United States. "The issue is: what are the cancers we most need to find," she said. "The cancers you need to find are the invasive, node-negative ones. More of the cancers found with ultrasound were invasive and node-negative than those found with mammography." 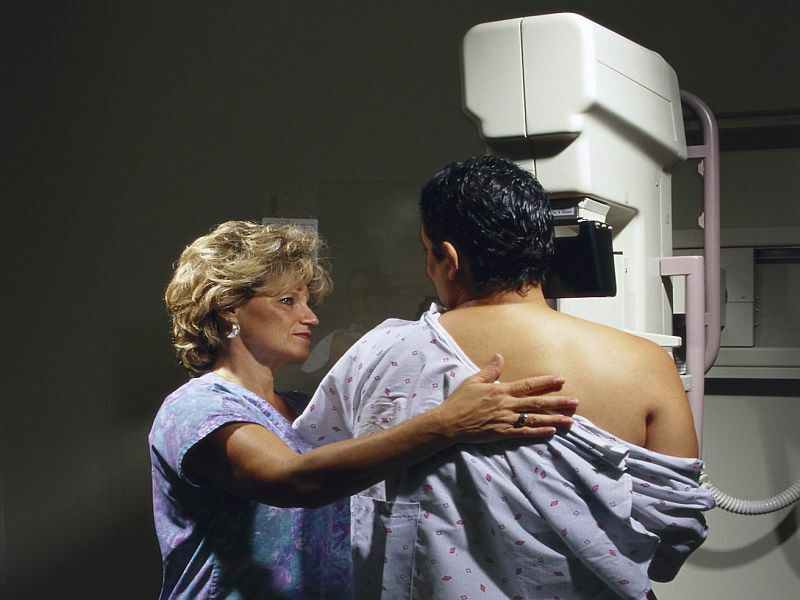 Guidelines about breast cancer screening vary among organizations. Current ACS guidelines advise women to consider beginning screening at age 40, depending on individual risk factors. They then recommend that women undergo annual screening with mammography from ages 45 to 54. At age 55, the ACS suggests continuing annual screening or switching to screening every two years, depending on risk factors. Some women, due to family history or other risk factors, should also be screened with MRIs, according to the ACS. Insurance coverage for breast ultrasounds also varies, according to Tumyan. "Ultrasound coverage varies with different insurance companies and different state laws. California has passed a law that requires radiologists to inform patients if they have dense breasts. But California law does not require insurance companies to pay for supplemental screening. However, in other states, the dense breast law requires insurance companies to pay for supplemental screening," she explained.